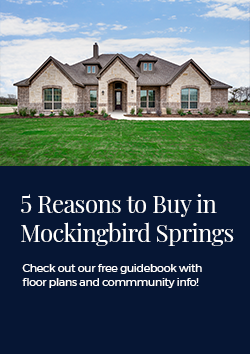 Welcome to Mockingbird Springs, an exclusive custom home community. This community is situated on Mockingbird Lane and Highland Rd. in Midlothian. Enjoy convenient access to area schools and to Hwy 287 and I-35E. Located in northeast Midlothian, this area provides homeowners easy access to shopping and dining options in Waxahachie or Cedar Hill. These homes will be on gorgeous 1 acre homesites and are in the exemplary Midlothian ISD.